For maximum productivity and enjoyment, beginners are wise to start small. Here are five easy woodworking projects perfect for novices. Window boxes add enormous curb appeal and for city dwellers, they provide a rare gardening opportunity. They are easy to make, too. Even a beginning woodworker can make a window box using scrap wood and a small set of basic tools. For a how-to on window box woodworking projects, see our DIY tutorial. If you’re thinking birdhouses are only kid’s stuff, think again! Bust out the saw, pick up some lumber (or make use of any scraps you have on hand), and dedicate an afternoon to creating one. Or ten! For a how-to on birdhouse woodworking projects, see our DIY tutorial. While it may be tempting to try making a picnic table, if you’re new to woodworker, you may want to start smaller. 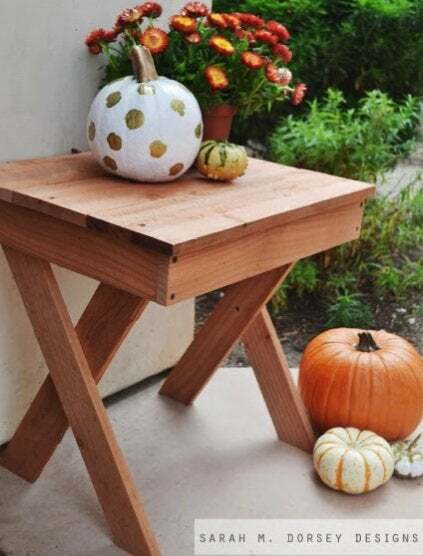 We love this table by home blogger Sarah M. Dorsey Designs—brilliantly conceived and oh-so-easy to make. Using leftover fence boards, Sarah was able to make this beautiful X-leg table in little over an hour. Get the full how-to here. We all need extra storage, and there are plenty of bins and crates available for purchase at stores. But why not build one of your own? This is another easy woodworking project that requires little in the way of materials, tools, and carpentry expertise. Early in the process, be sure to consider how the crate will be used and where it will be displayed. An open-slatted design will make it more decorative—so will knotted rope pulls, like this gem from Bob Vila Nation blogger Cher-Ann Texter. So many creative woodworking projects begin with scrap wood that is easy to source. 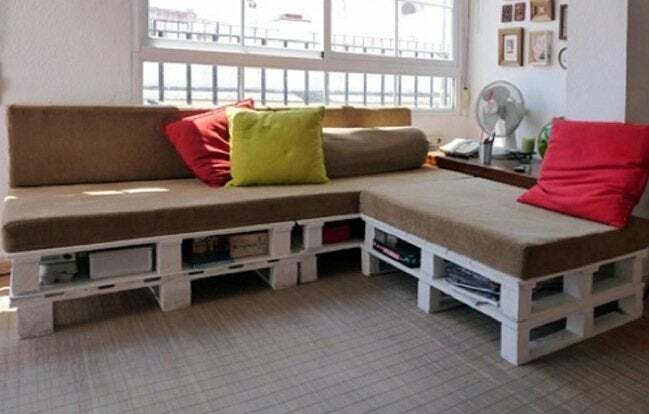 For example, you can repurpose shipping pallets into functional furniture of all kinds—desks, hanging plate racks, unique kitchen islands. The same is true for wine and apple crates; they’re easy to come by (and usually free) and can be transformed into just about anything. You may need to perform some deconstruction before you’re able to start building something fresh, but you still get the benefits of creating something by hand and learning woodworking skills in the process.